The second largest city in Germany is Hamburg and it’s located in the north of the vast country. It has one of the largest harbors in Germany and massive cargo ships arrive in town via the river Elbe. The contrast between old and new is big and interesting to watch. Hamburg has a lot of views and interesting things to do. We listed the ones that we think might be interesting. If you have your own car or a rental car, this is probably a good asset when planning 2 days in Hamburg. Driving in Germany is easy and straightforward and Hamburg is also easy to navigate. We visited by car and had accommodation outside the city center, so we could park for free. If you’re staying in the city center, you can find a hotel that offers a parking space. Parking in the city center isn’t expensive, but if you park a little further away, you’ll be able to find free parking spots as well. Check this link for parking information and locations in Hamburg. 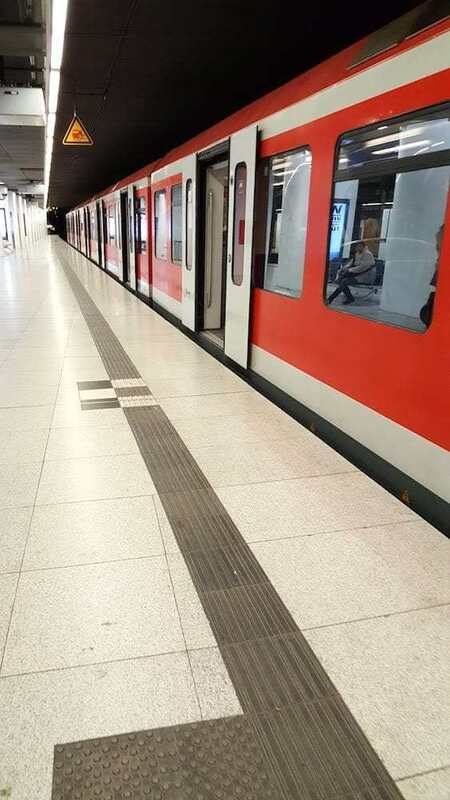 The German railway system is top notch and of course, Hamburg is serviced as well. 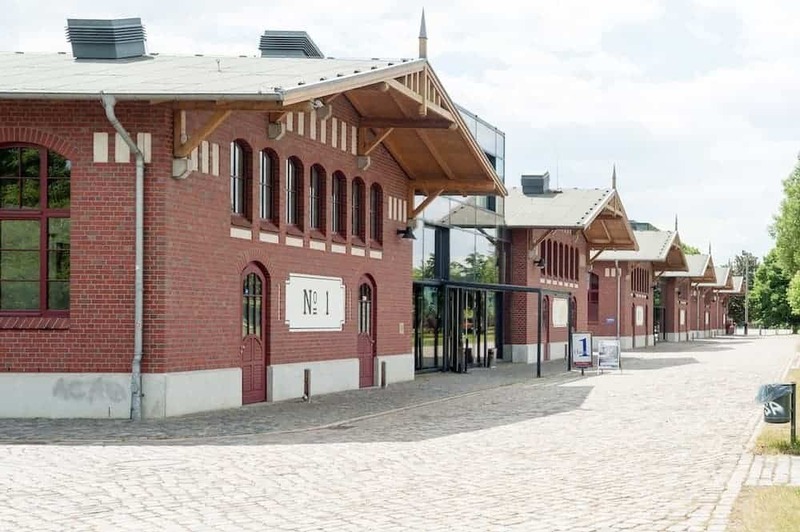 Whether you want to plan a trip to Hamburg – Germany as a part of a larger European train trip or visit just Hamburg, the Deutsche Bahn will probably not let you down. Check this link for timetables and tickets. Hamburg Airport is about 10 km from the main city center, but it is well connected. You can travel to the airport with public transportation or get a taxi. We’d recommend public transportation since it’s so easy and you won’t have to wait long. The trip to town takes around 25 minutes and there’s a train every 10 minutes. Hamburg City Center can be walked easily. Most sights aren’t far apart, but you might be inclined to take public transportation to travel between different parts of town or to a sight further away. We’ve taken public transportation all over the world, but it still took us some time to get a ticket out of the ticketing machine in the station. 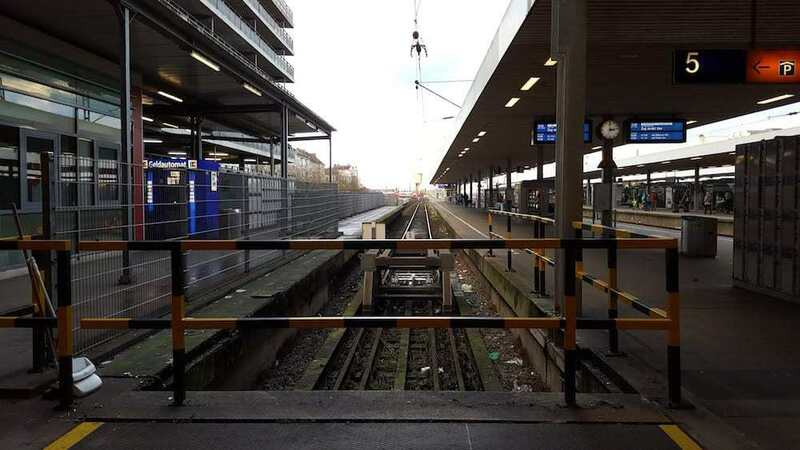 The HVV website can provide some more useful information about the right ticket to purchase. Especially when staying for 2 days in Hamburg, you might want to get a pass for public transportation. We stayed longer than 2 days in Hamburg but still bought a single ticket each time. Check this map with the different transportation lines. The Hamburg Card costs around 9,9€ and you can use it all day. The Hamburg Card is a great asset when staying 2 days in Hamburg because this card includes discounts on various activities. Unlimited bus, metro, and ferry. Single tickets vary in price, depending on the number of zones you want to cross. As the second largest city in Germany, Hamburg is overflowing with great accommodation opportunities. If you want to plan a trip to Hamburg – Germany, you get to choose between loads of hotels, hostels, guesthouses, and rental apartments. 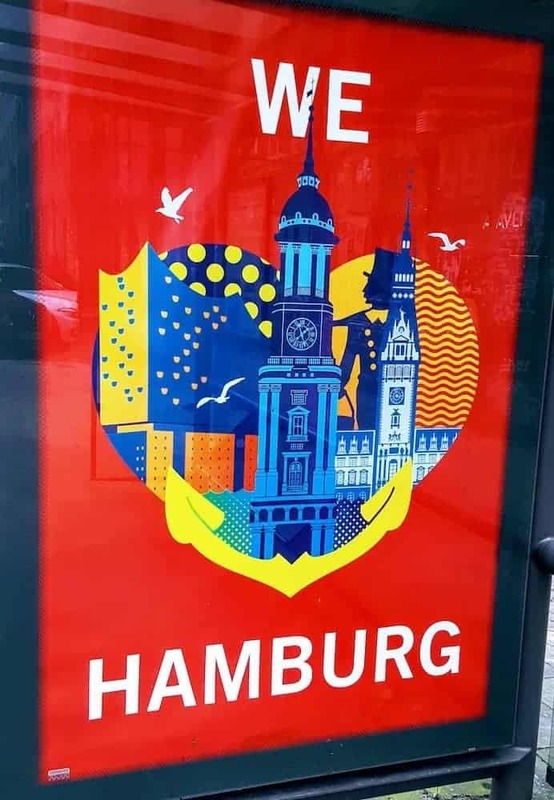 Airbnb also has a lot of listings in Hamburg. If you book your first stay with Airbnb with our link, you get a 30€ discount and we get a discount too. For our trip to Hamburg Germany, we actually stayed in the house of other people, while taking care of their cat. We used Trusted Housesitters to find perfect accommodation in Hamburg. Find more accommodation options in Hamburg. We enjoyed a great meal in the Hardrock Café in Hamburg, but there are quite a few other options! Check out these awesome places to have a delicious meal in Hamburg! There are a lot of sights, viewpoints, and things-to-do in Hamburg. 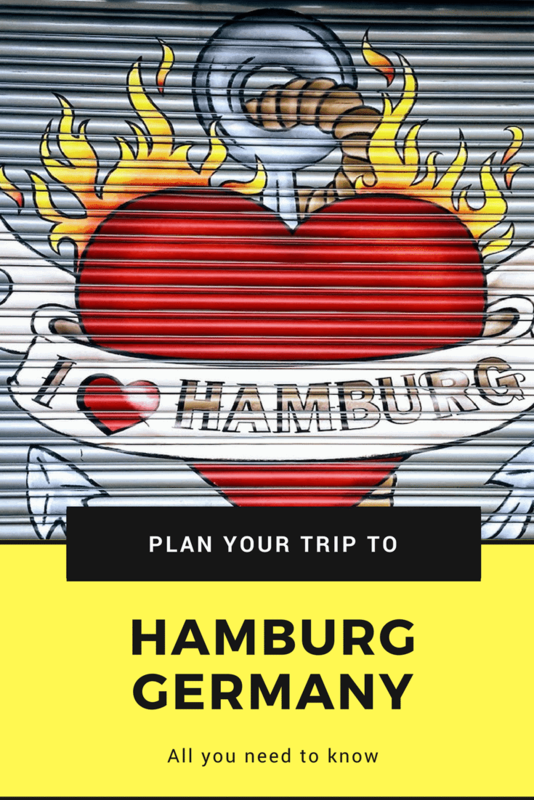 We listed the coolest and added some useful information that might help you plan 2 days in Hamburg Germany. Speicherstadt is a huge warehouse district in the port of Hamburg, which is on the list of UNESCO World Heritage Sites. It’s a pleasant sight during the day as well as at night. Canals run through the buildings and when walking around, you’ll find yourself standing on bridges more often than not. Depending on the weather and your interest in old warehouses, a visit to Speicherstadt can take up as much time as you want it to do. When we visited, the weather was bad, so we didn’t stay for hours, so you can fit this viewpoint easily in 2 days in Hamburg. The Rathouse or City Hall wasn’t on our original plan since we don’t usually visit a lot of buildings. But it’s pretty unavoidable. If you walk around Hamburg, you will eventually end up in front of the Rathouse. We were lured in because it was raining and it turned out to be a pretty cool building with a nice courtyard, obviously with a lot of history. When visiting, you can also join a guided tour. In a warehouse in Speicherstadt, the makers of The Dungeons have set up a new dungeon. The concept already existed in the UK and now Hamburg has one too. The Dungeon is an interactive play that’s intriguing and scary. The show consists of a dozen different plays that take you through the (sometimes dark) history of Hamburg. We’re not that into horror and scary stuff, we were even doubting to go in once we got there. But we pushed through and ended up having an awesome time. With tours like these, you know nothing horrible would happen, but still, we were on edge all the time. 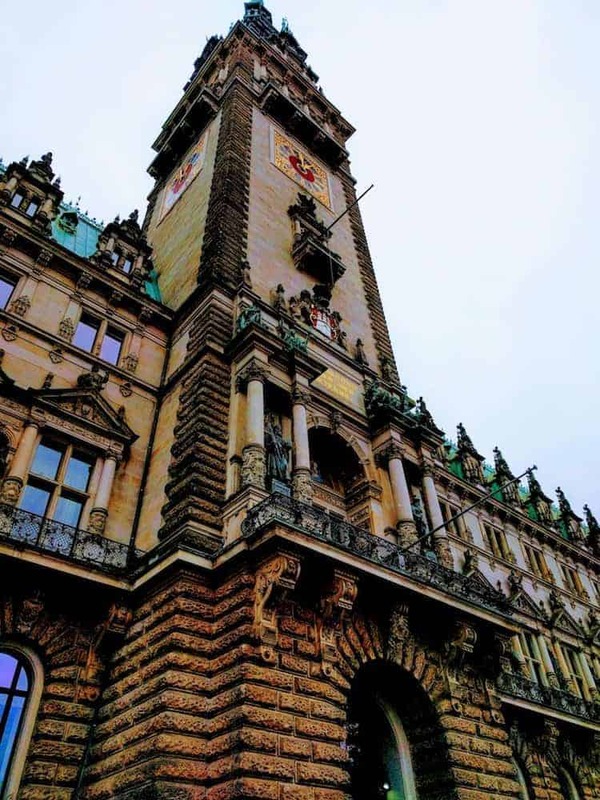 If you only have 2 days in Hamburg and you’re not really into scary things, you might want to skip the Hamburg Dungeons! This WWII bunker isn’t very well known by the great public, but it’s pretty cool to visit. The bunker is located under the Central Station and thus hidden in plain sight. The bunker itself is equipped to withstand a nuclear attack and cover 2700 square meters. English tours are organized regularly and you can check their website to see how to organize your visit. This is a very interesting stop and if you only have 2 days in Hamburg, you better schedule your visit to the Unterwelten in time! More than 5 million people emigrated to the US between 1850 and 1939 through the harbor of Hamburg. They all waited for transportation in Hamburg and were sheltered in Ballinstadt. This museum holds registers and artifacts of this period of time. Ballinstadt is the actual museum of emigration. The entrance fee is 13€ and opening hours vary during the year. Check their website to see when best to visit. 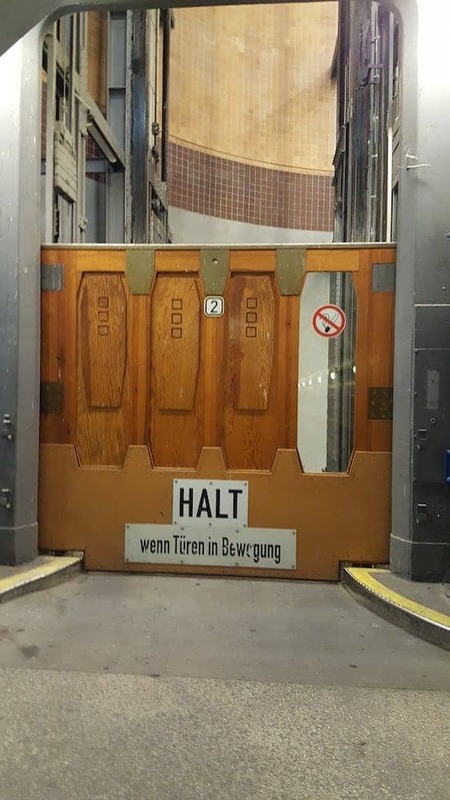 The Old Elbe Tunnel opened in 1911. The tunnel has two tubes that fit a car and it’s 24 meters below the surface. 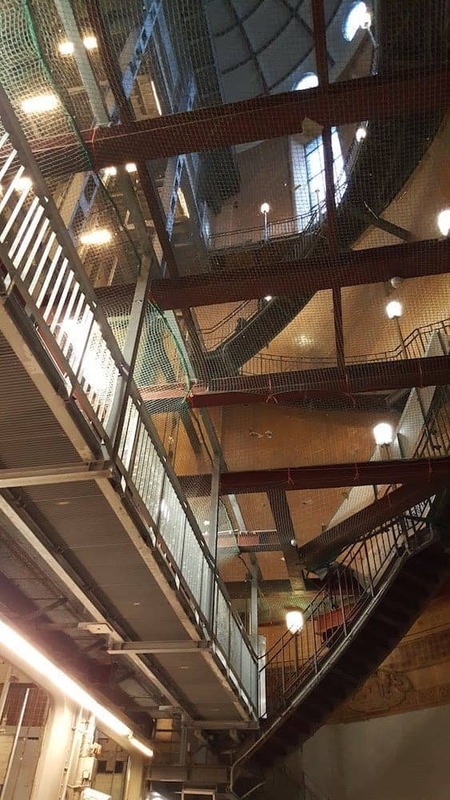 There are elevators to bring the cars down, although they’re not operational right now. Through the tunnel, you can walk all the way across the Elbe river from St Pauli to Hamburg Hafen. 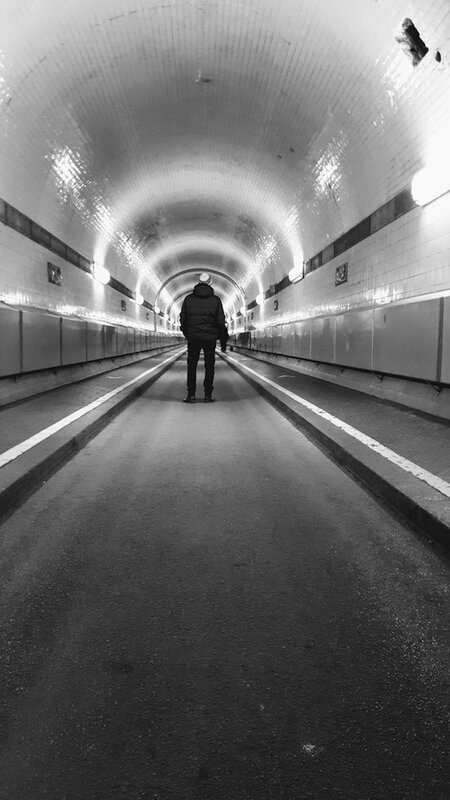 The Old Elbe Tunnel is a viewpoint you definitely can’t skip when spending 2 days in Hamburg! Planten un Blomen is the Hamburg city park. The weather was pretty off when we visited Hamburg, but in spring and summer time this park is a great way to escape the city for a few hours. Entrance is free and the park is open every day all year long. The park has themed gardens like a Japanese garden and a botanical garden. You can relax, walk, play games or do sports in Planten un blomen park. The Planten un Blomen park is a little further away from the city center, so only plan this view into your 2 days in Hamburg itinerary if you actually enjoy visiting parks and spending time in nature. 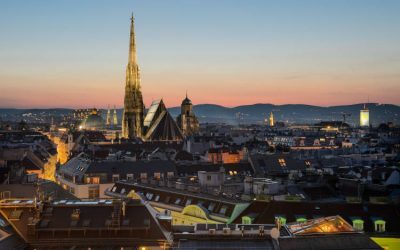 Just walking around town will probably get you past most of the viewpoints and sights, but you can also opt to take a free walking tour. English tours depart at the Rathaus at 11h each morning or at 14h next to the Hard Rock Cafe at Landungsbrucke. A walking tour is a great way to discover a city and it will only cut a few hours out of your 2 days in Hamburg. 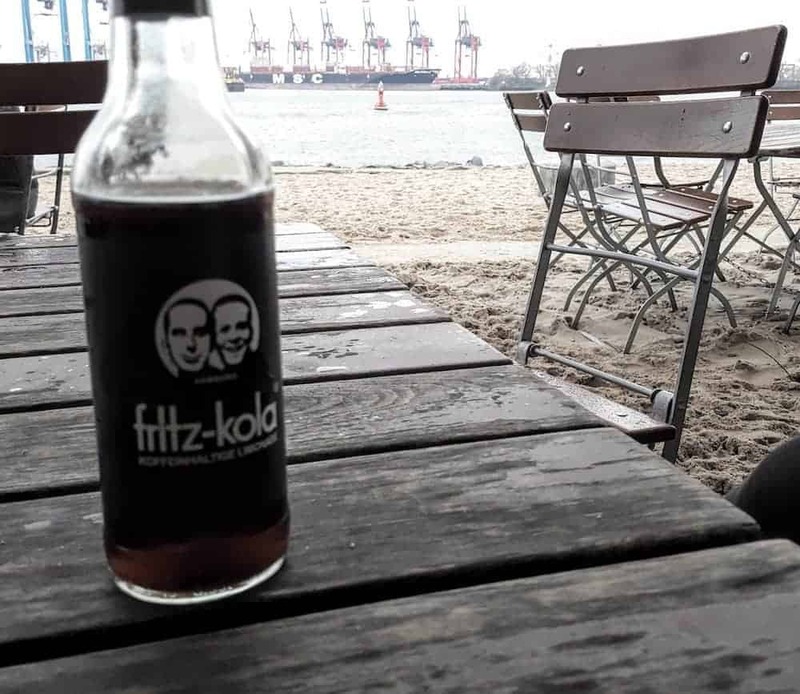 Hamburg has a beach by the Elbe. It might not be the tropical beach you crave, but it’s a nice and chill beach with views over the harbor and the cargo docks. The beach is popular among dog owners and we enjoyed just sitting there with a drink, watching the dogs play. You can visit other beaches nearby and the beach of Blankenese appears to be very beautiful. Time Needed: Depends on the weather! In Hamburg, you can visit the Miniatur Wunderland, which is like Mini Europe. It holds models of great attractions and an entire miniature railway system. The International Maritime Museum is located in the harbor and will set you back around 13€. Dialog im Dunkeln, which means Dialog in the Dark is a concept where you’ll be guided around in the pitch black room. Experience what it’s like to be blind while trying to identify everyday objects. Eye-opening! Have you always wanted to see the inside of a submarine? You can visit the largest cold war submarine in the world in Hamburg. The U434 is a Russian submarine. 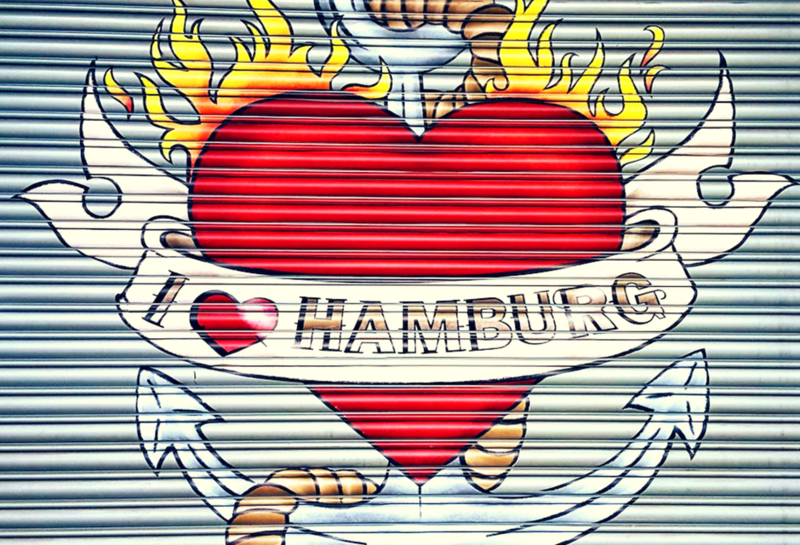 Find more free activities in Hamburg in this guide! Hamburg combines old and new. You can make a trip through time, just walking in the city. 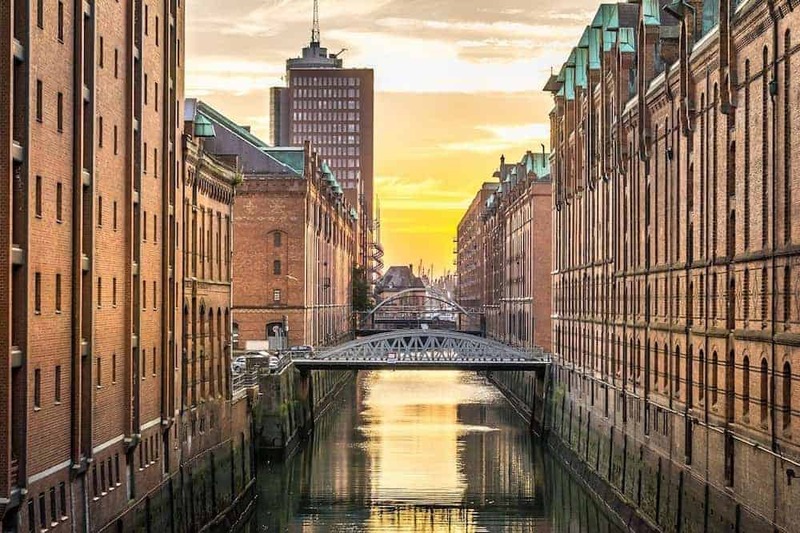 When you plan 2 days in Hamburg Germany and you’re running out of time, it might be useful to know where you can see the best views and architecture. We always love a birds view over the city and Hamburg has many of these options. 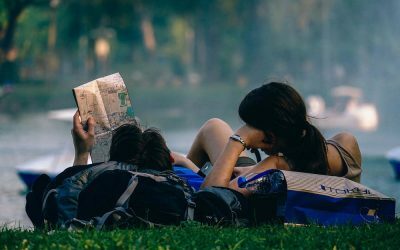 The city doesn’t especially cater for lesbian travel, but that should not hold you back since it still has a lot to offer. Once a year, a few kilometers north of Hamburg, the lesbian festival L-beach is organized. See how to combine your trip to Hamburg with some other cool festivals in Europe.